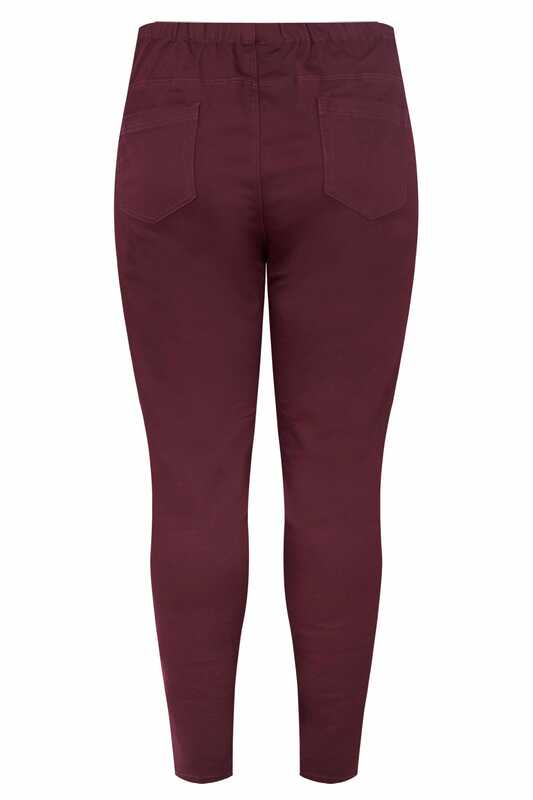 Keep your staple wardrobe refreshed with these essential jeggings. Made from a super stretch fabric, their classic skinny style features three functional pockets and an elasticated waistband for the perfect all-day fit. Style with all your favourite t-shirts for easy daytime looks. 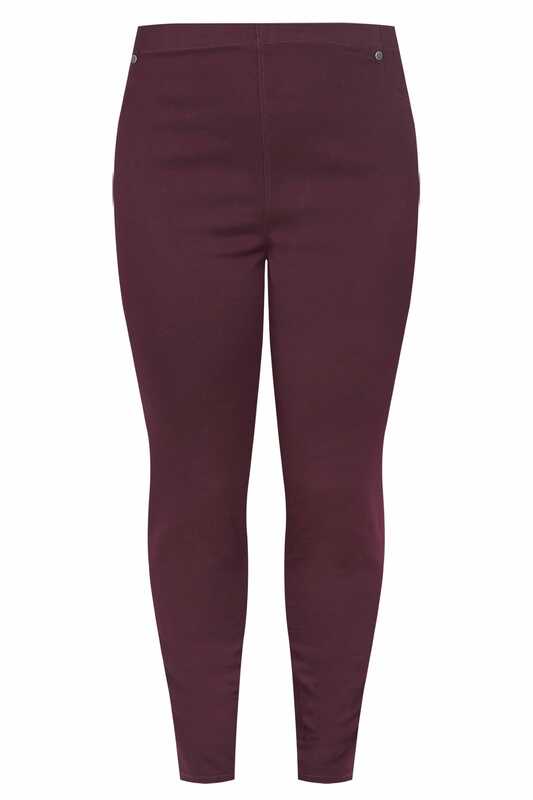 In a deep burgundy hue, their classic style is an all-year-round wardrobe must-have.